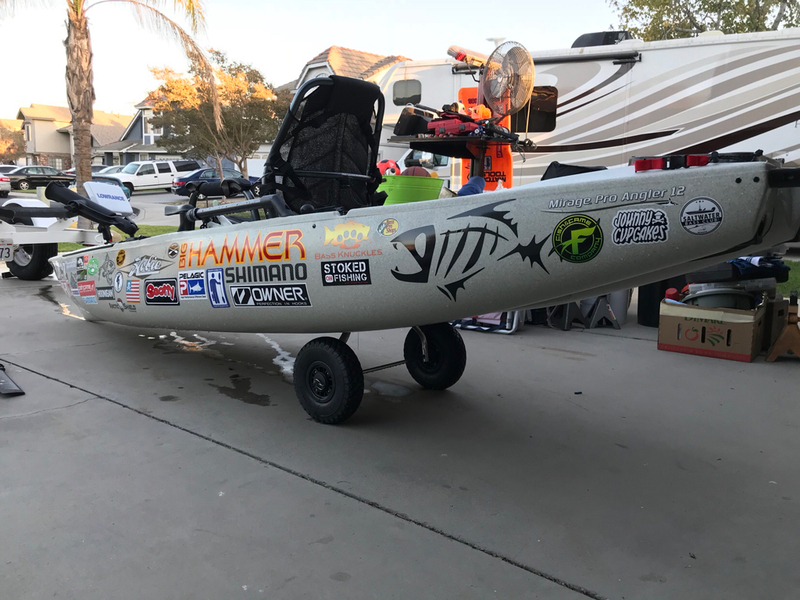 I had purchased this kayak new from Andy at OEX Sunset Beach and it was on display at the Fred Hall Show in 2014. 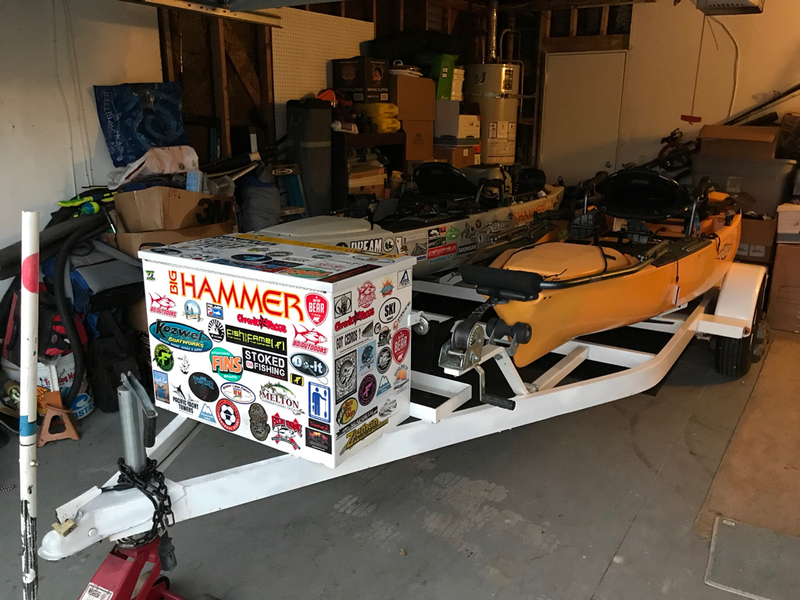 Since then I had probably taken it out a few times. 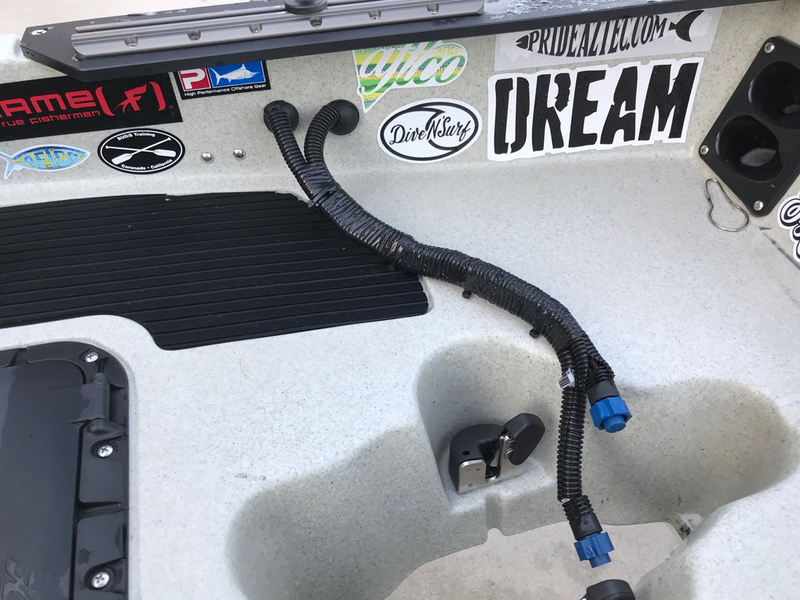 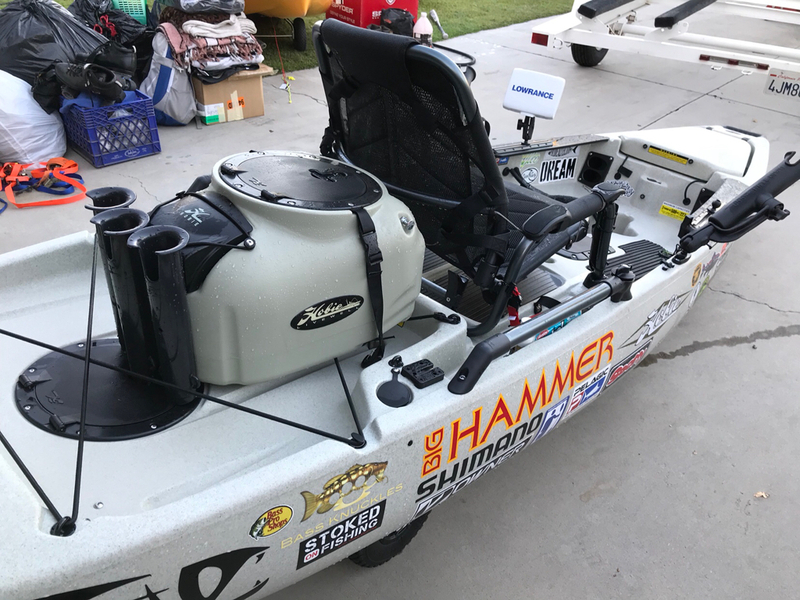 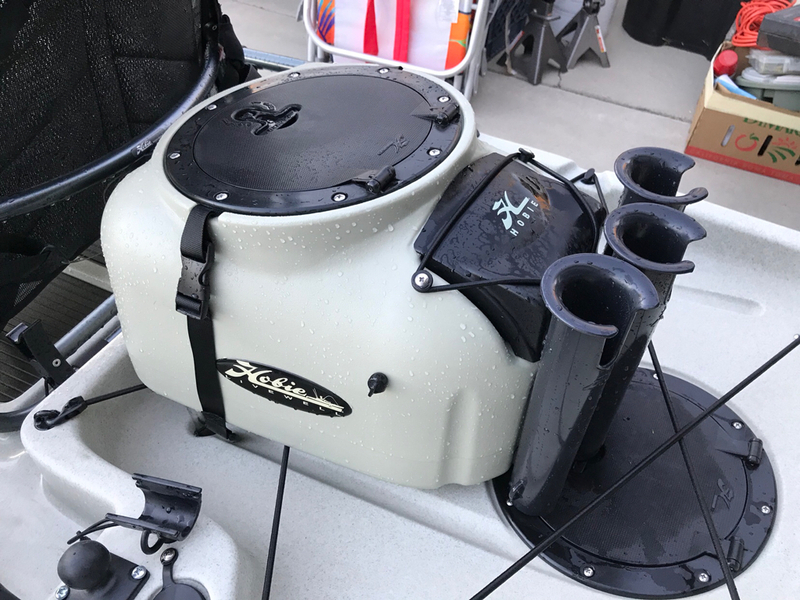 It has a Lowrance Elite 5 HDI fish finder, 2 RAM Tubes, Hobie Gear Tracks w/Ram accessory balls, Hobie Kayak Livewell, Hobie Visicarbon Safety Flag, fishfinder battery installed in rear hatch, Hobie HD Cart with Wheeleez foam filled tires. 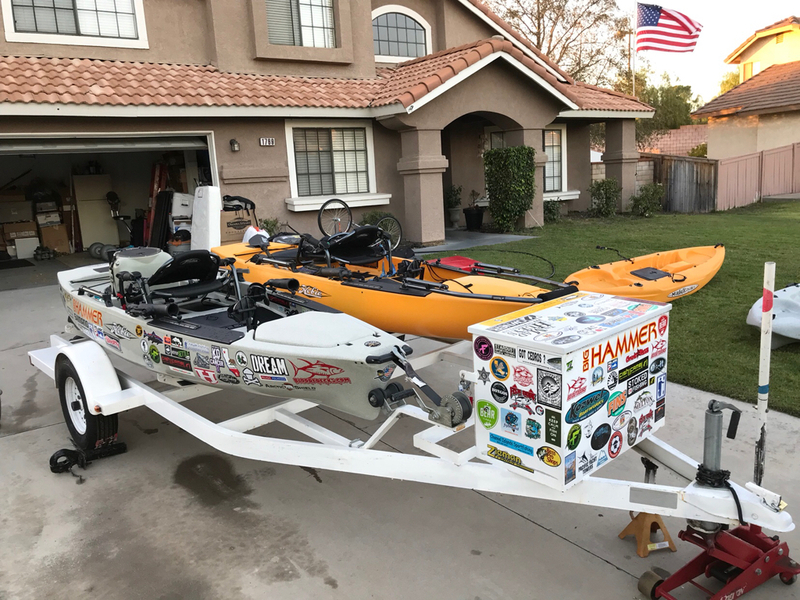 I won’t separate the kayak accessories. 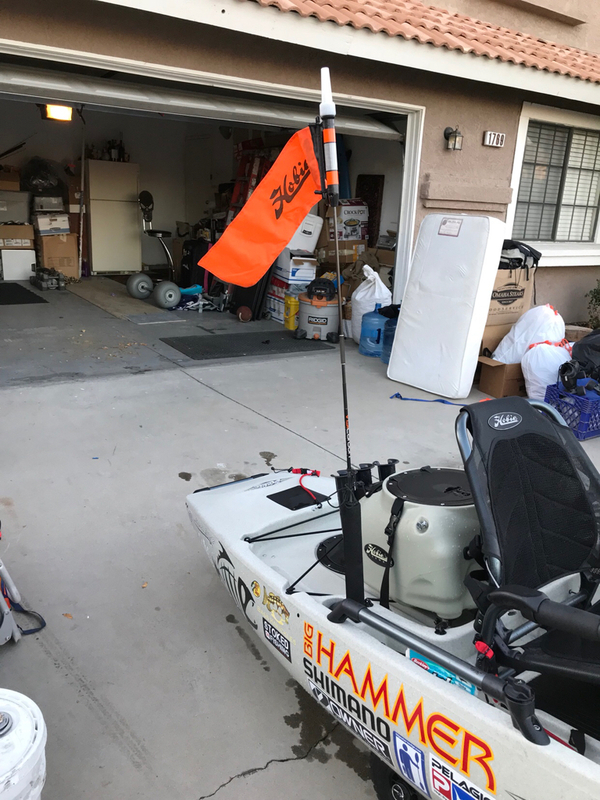 Message me if your interested. 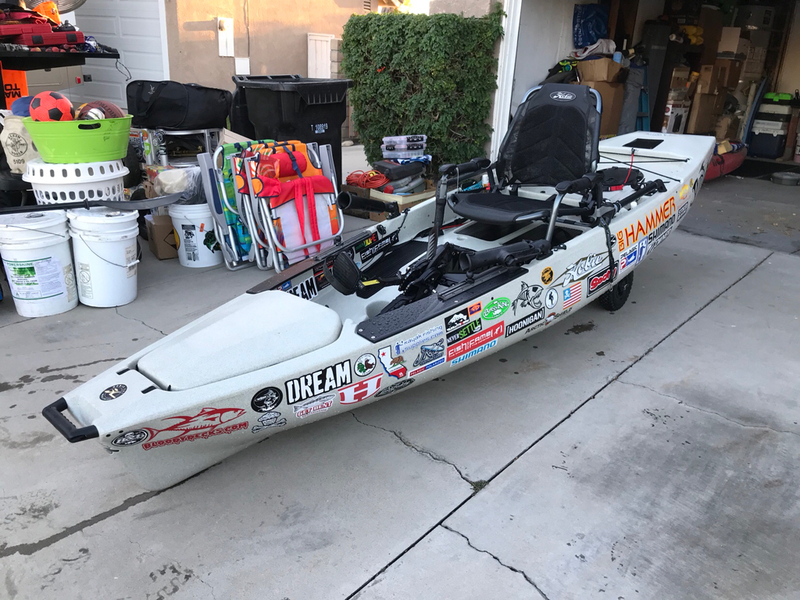 This kayak has always been washed down and stored in the garage.